Juliet is still ill. Somehow I don't think she'll be going to daycare tomorrow. This morning she was feeling a little better, so we headed off to a Picnic that had been planned for over a month. 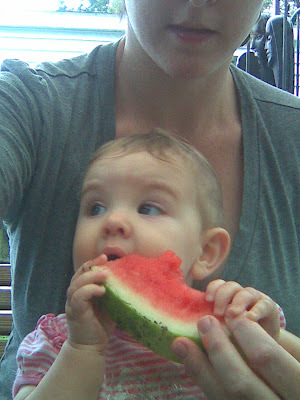 We didn't stay long- only an hour- but it was long enough for Juliet to try watermelon for the first time and meet a BIG horse. The Watermelon was funny. She kept biting it off and then spitting it out. 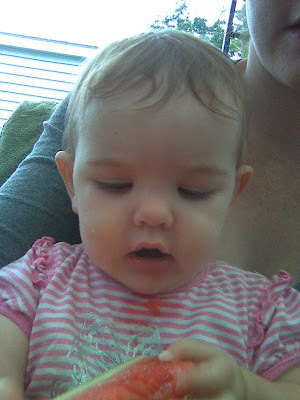 And then she took chunks in her hands, but didn't know what to do with it. 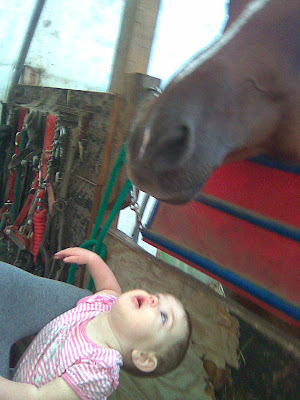 She was fascinated by the horse. 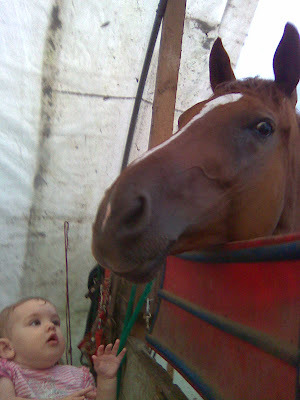 The look on her face when the horse smelled her was priceless. 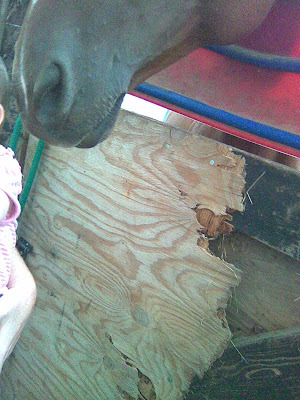 Especially because it wuffed her (you know, the horse blew out his nostrils at her). 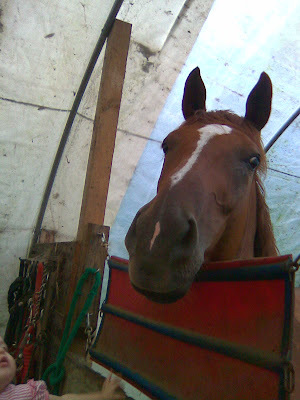 I didn't get a GREAT shot, because it was hard to hold the camera and her and get the angle right, but we'll be back to visit the horses again.